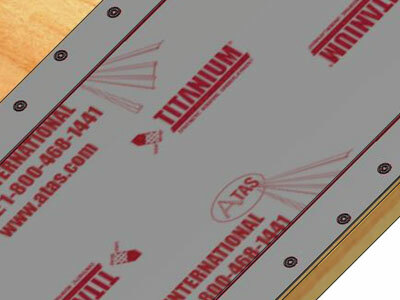 Underlayment | Accessories | ATAS International, Inc.
ATA-Shield is a self-adhering underlayment designed specifically for use under metal roofing. 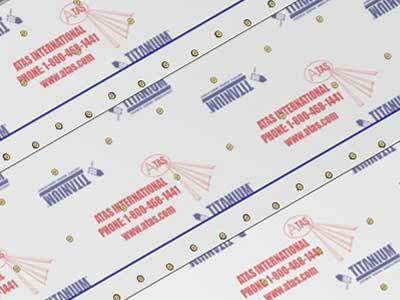 This membrane is well suited for use where a water resistant barrier is required. It is formulated to withstand the high heat environment generated by some metal roofing systems. ATA-Shield is composed of an unreinforced polymer-modified bitumin material adhered to the underside of a polymer-coated synthetic woven material. Material is packaged in a roll of approx. 200 sq. ft.
ATA-Guard is a highly engineered, mechanically attached, coated woven synthetic roofing underlayment for sloped roofs. It can be used under all types of primary roofing materials and is approved as an alternative replacement for Type 15 or Type 30 asphalt roofing felt. ATA-Guard is 5 times lighter and 25 times stronger than 30# asphalt. ATA-Guard is 100% asphalt free, reinforced underlayment. Advanced polymers are combined to produce a film that is unaffected by water and resistant to UV for up to 6 months. Material is packaged in a roll of approx. 1000 sq. ft.